There had been rumors around the fort of a shadow of some sort, and noises - such as crying - since we were stationed here more than a fortnight ago. I had done my best to quash such baseless concern, but the men talk despite my attempts; such is the way of men faced with unfamiliar experiences. I had placed myself on midnight watch, both due to the reluctance of the knights to take the shift, and to see for myself what caused the fear. 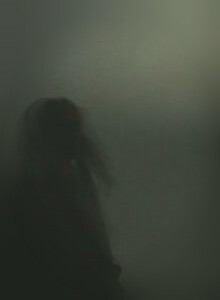 Many had been perturbed by sounds of footsteps, whispers, crying, and a few swore to have seen a figure in the mist. On the seventh day, I discontinued the privilege of ale during meals, but the claims remained. Halfway through the shift without note of anything odd, I felt a strange brush of air down the back of my neck. The air had been still all night, but I didn't think it important. I was wrong. It was when I noticed a figure climb up onto the wall that despair coiled in my gut. Sir Taylor had wandered from his post, seemingly in a trance. When told to return, it was if I hadn't said anything to him at all; no notice that he had even known of my existence. Out of the corner of my eye, I saw something in the mist - I was sure of it - but the moment I moved my eyes to look, it was when he walked off the wall and fell to the rocks below. I was sickened by the sight of his head twisted fully around, the rocks being tinted in red; his body broken and still as the night air had once been. I call for a retreat, and a condemnation of the Fort. We are not safe here. Three days after receiving the report and approving the request for a tactical retreat, Commander William Price of the King's Army was found dead in his Quarters. He had hung himself in the middle of the night; no one had heard any sounds of struggle, but those on watch heard something they hadn't before that night: the faint laughter of a woman. The only thing that remarked anything unusual was a script written in charcoal; You Are Not Safe.